BendWorks is a first-of-its-kind software program available for Autodesk Revit and Revit MEP that helps designers optimize conduit runs more efficiently. The program combines electrical trade knowledge and Greenlee bending parameters to ensure error-free and export-ready conduit runs for prefabrication or on-site bending. BendWorks has exclusive programming that splits conduit runs to produce fewer cuts and segments, reducing scrap. The process continues as couplings are added to the models, and segments are uniquely labelled for traceability on the jobsite. Error checking is performed for each conduit segment, and export data may be transferred to a programmable Greenlee bender, or instructional files can be printed for operators to have a step-by-step outline for non-programmable benders. 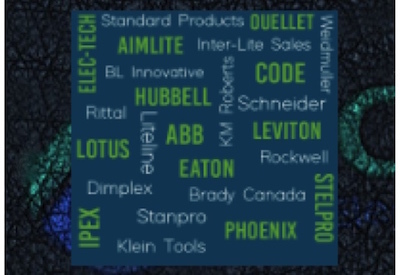 This software offers an extensive toolset for CAD designers that allows selection of various conduit types and sizes to create new runs or convert existing runs that automatically fit parameters specific to the following Greenlee benders: 555, 555C, 555CX, 555DX, 853, 854, 855, 854DX, 855GX, 881, 882, and the 1055 AutoBend 3D. Leading national contractors estimate that applying BendWorks will increase design productivity by 15%, reduce scrap by 15%, decrease rework by 25%, and lower inventory by 10%. A BendWorks video and a short six-part BendWorks instructional series are both available on the GreenleeDEMO video site on YouTube: https://www.youtube.com/user/GreenleeDEMO.